Explanation: The Rosetta Mission lander is safely on a comet. 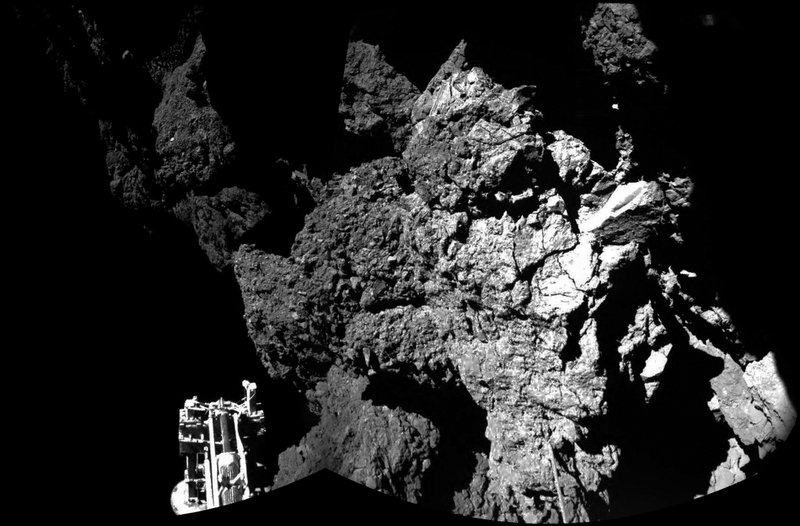 One of Philae's feet appears at the bottom left of this spectacular image of the surface of C67/P Churyumov-Gerasimenko. 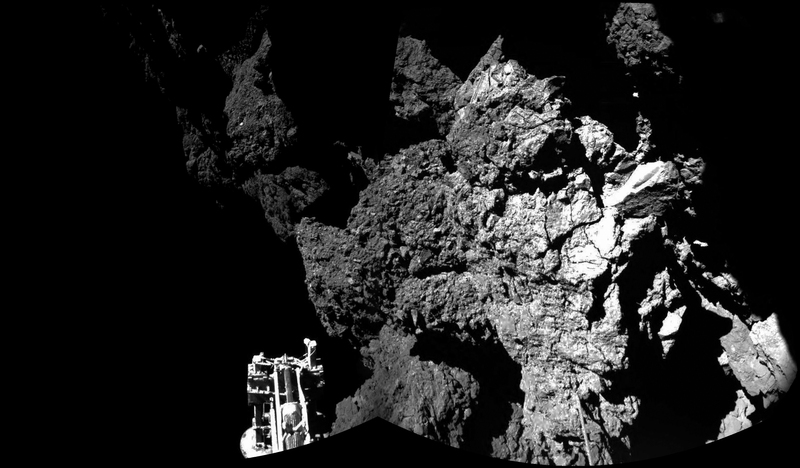 Still a happy lander, Philae bounced twice before settling and returning images from the surface, traveling a kilometre or so after initially touching at the targeted site Agilkia. A surface panorama suggests that the lander has come to rest tilted and near a shadowing wall, with its solar panels getting less illumination that hoped. Philae's science instruments are working as planned and data is being relayed during communications windows, when the Rosetta spacecraft is above the lander's new horizon.